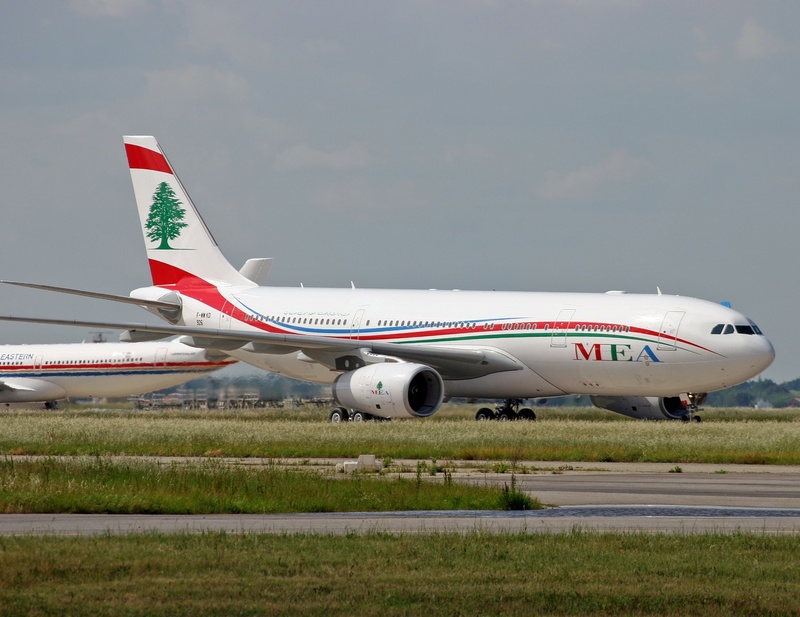 In the past week or so, videos and pictures have been circulated on the web pointing out problems customers have faced on a couple of MEA flights. They included service quality issues such as an out of use seat and a dysfunctional display unit amongst others. These videos and pictures created with the intention of raising awareness about MEA’s customer service, and which have caused others to provide valuable comments and feedback, have been taken on-board whole heartedly. Anyone who flies regularly will probably have experienced at some time or another that service on an airline can vary from flight to flight. As such, our company’s priority is to strive to deliver a consistent service across the board. The best way to provide this consistency in our view is to listen to customers’ feedback addressing their issues whenever possible, to implement the latest technologies and systems throughout the company as they become available, and finally to undertake all our usual measures to assess consistency through thorough quality control of flight safety, in-flight services, entertainment and overall passenger comfort. Here at MEA, we feel it is our duty not only to our customers, but to the country as a whole to accurately represent our nation by reflecting our reputation for outstanding hospitality in every aspect of the service we provide as an airline. Currently, our fleet is being expanded as some may already know from our recent campaign “5000 Mabrouk” where we unveiled our brand new A320 aircraft. We’re expecting two more aircraft to be delivered in coming months. We have also finished planning the new cargo center which will be spread over 20,000 sq. m. of land, will contain a hangar with a 5,000 sq. m. capacity for exports and another 10,000 sq. m. hangar for imported goods, in addition to a large parking lot. In light of the videos we have seen, the comments provided in social forums and the valuable feedback we are receiving online, we are glad to announce that we will be increasing our presence in various social media to provide dynamic interaction with our customer base worldwide. While we encourage everyone to describe their experience on MEA flights through social media and contact us by whichever means available, we’d like to remind our customers that the most direct means of communication for requests and complaints to be handled effectively within the shortest timeframe is by emailing saader@mea.com.lb (Customer Services Department). As I said in my post regarding the matter, I refused to crucify MEA, as some were doing, for what happened on the flight. I’m sure it happens on other airlines as well. But I blamed them on the way they handled things. This is a step in the right direction. I hope they continue with it and it doesn’t become another Lebanese “saff 7ake” as they say. Based on many emails I got, as well as comments on other blogs that wrote about this story, many have not been happy customers with MEA. If Mr. Dajani’s story, despite some flaws in the way it was handled, has gotten them to be more aware, then I’m one happier person. And in the long run, if MEA truly ups their game, I’m sure they’d be a happier company as well. In the age of Facebook, twitter and blogging, Lebanese customers need to know that they have a stronger voice than before and that they can speak up in case something out of line happens. Odds are they will get a response. Good job MEA. Crisis averted? This entry was posted in Lebanon and tagged Airline, Beirut, Dubai, Flight 427, Lebanon, MEA, Middle East Airline. Bookmark the permalink. They acknowledged the problem, apologised (sorta), offered a new way forward and then sought to close down any more negative social media comments/feedback by directing future queries to a company email address and not an open forum like FB or a blog. I’m sure people will still do both: email and nag on FB, which is what needs to be done. As I said, this is a good sign – that they actually acknowledged the problem to begin with is unLebanese-like of companies – but it’s nothing if nothing changes. Typical MEA….ignore customer, talk corporate lingo…. The least they could have done is throw an apology for the inconvenience to the passengers showing that they at least care…and please don’t get into social media….your getting it all wrong…. Lebanese companies usually don’t even apologize. So this is a good step. I don’t care about how many aircrafts they bought to increase their fleet! With an unprofessional and rude crew, I wouldn’t reserve a seat on any. I didn’t expect them to say anything so the fact that they did is a pretty big step. Lebanese companies are new at this. They’re slowly finding out that what they do now has consequences. And these consequences are far-reaching. So let them learn. Maybe one day we’ll get the response we want. Yeah ok but that’s not what I meant. When a company like MEA releases a statement such as the one above, you’d expect them to say something meaningful and not just make it another PR stunt to calm things down. This letter is a perfect example of how they’re doing their best to avoid the repercussions of their lack of professionalism & you’re making it easy for them till “one day we’ll get the response we want.” This is like reprimanding a child. If you’re lineant with them, they’ll never learn. Like MEA said, it is not a question of airline. It’s a matter of national identity as well. They represent Lebanon and that comes with a big responsibility. I think they shouldn’t get off the hook so easily. We’re not living in a country where we lack educated people or managers, or means to research your competition. If you don’t want to fire your people, train them. Promise us that at least. But no. I mean given the many disastrous incidents we’ve heard from friends and co-workers, the LEAST they could have done was release a statement. However the number of planes they’re getting & what kind of hangars they’re using is the least of my worries and yeah I don’t want to hear about it when your crew is being utterly rude to us! On one of my flights from Dubai to Beirut, the flight attendant yelled at a person because he didn’t hear her ask “chicken or meat?” WTF! Besides, without proper maintenance all of these new equipments will go to waste so… It’s not about high expectations. It’s about professionalism. And here again, they missed it. As I said, Lebanese companies are new at this. I don’t think a company has ever released a PR statement in reply to customer complaints. Ever. So this is where I’m coming from. The content of the statement can be improved, of course, but this is not the time to be nit-picky, I think. Agree with Lynxette on this. I would go actually one step further. When I’m paying for a non-budget airline, then there are certain basics I expect. This is what I have been promised and this is what I have paid for. IF for any reason, these basics are not available, then I expect some kind of compensation. Compensation in any form can help relieve customer frustration. Examples of compensation are: 50% refund of ticket price, upgrading customer to business, air mile credit for next flight, etc. From all that I have heard and read, no type of compensation was allocated to the disgruntled customers. If I were on the flight, I would have basically asked for my money back! Of course you should get compensation. And in any other scenario/country, you probably would have gotten refunded. But, again, this is Lebanon and things like this happen all the time without companies owning up. This is MEA trying, albeit barely, but still trying. I have so much heart for MEA, but their brand strategy is completely off base. There’s a drastic need for a brand refresh and new positioning and I’m not quite sure why they aren’t aware of how profitable that would be. I think the more companies are interactive with customers, the more they’re likely to bring in business. MEA looks to be on that track, but again this is a Lebanese company so we don’t know exactly how they will move forward. Freedom of speech is finally here. Long live the internet! You always had it. Few expressed it when it comes to companies though. Nice move on MEA’s part. Yeah they scrambled to get things together. broken seats are the least of MEA’s problems they need to end the stupid sectarian hiring + start hiring real hostesses not people with attitude! their service is horrid! i have never left a MEA flight happy, ever! I’ve never used their service so I can’t really judge. Maybe after a trip I’m having this summer.